The Adelsverein, sometimes called the German Emigration Company, was established by German noblemen in Germany in 1842. The group’s purpose was to establish a new Germany in the Republic of Texas by means of organized mass emigration. 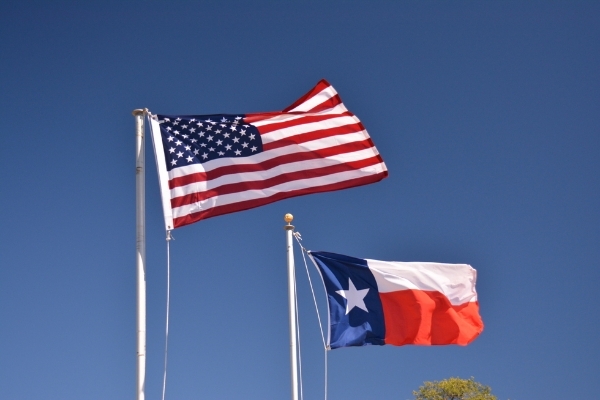 This organization established several planned settlements in Texas including New Braunfels and Fredericksburg. The 10,000 acre Fredericksburg track was purchased in 1845 by German John O. Meusebach who was operating out of New Braunfels. He named the new settlement after Prince Frederick of Prussia, an influential member of the Adelsverein. The town was platted by surveyor Hermann Wilke. It was laid out like the German villages along the Rhine, with one long street (now Main Street) running roughly parallel to Town Creek. The first wagon train of 120 settlers arrived from New Braunfels on May 8, 1846. Each settler was given one town lot and 10 acres of farmland. The early German settlers were a largely liberal and educated group, and acted very independently of the region. Many refused to learn English. Like many Texas German communities, Fredericksburg supported the Union during the Civil War. These settlers brokered the Meusebach-Comanche peace treaty with the Comanche. The treaty became one of the very few treaties with Native American tribes that were never broken, and it removed the threat of Indian attacks. Fredericksburg is the birthplace of Admiral Chester Nimitz, Commander-in-Chief of the U.S. Pacific Forces in World War II. It is also the hometown of architect Chester Nagel. Fredericksburg is located on the Pedernales River at the intersection of U.S. 290/U.S. 87 (Main Street) and SH 16, 23 miles east of Harper, 64 miles southeast of Junction, 42 miles southeast of Mason, 38 miles southwest of Llano, 53 miles southwest of Marble Falls, 74 miles west of Austin, 30 miles west of Johnson City, 14.5 miles northwest of Stonewall, 44 miles northwest of Blanco, 20.6 miles northwest of Albert, 10.3 miles northwest of Luckenbach, 34.7 miles northwest of Sisterdale, 39 miles north of Boerne, 22.3 miles north of Comfort, 50 miles northeast of Bandera, 37.6 miles northeast of Hunt, and 24.4 miles northeast of Kerrville, Texas. The 23,000 acre ranch was purchased by Francis Morris as a place to raise racehorses. This fenced ghost town owes its demise to early 1890s laws enacted to restrict legalized gambling. The ranch reached its zenith in the 1880s. Facilities include an old silo with an observation deck, an 1893 schoolhouse, a two story house, the manager’s house, an old store, a hotel, horse stables, and a stallion barn. The ranch extends around the intersection of Morris-Tivydale Road near SH 16. From Fredericksburg, take SH 16 South for approximately 2 miles to the traffic light at FM 2093. Go right at the light and drive approximately 7 miles to Morris-Tivydale Road. Go left and continue for 1.5 miles. A small stone building behind a high wire fence will be located on your left. Beyond this house is the jockey house. At the next intersection is a 2 story house. Across the road from the house are grazing horses and the silo with an observation deck. To the right of the 2 story house is a small store overgrown with vegetation. Continue west to the large stables. Across the street from the stables is the former manager’s house (on the north side of the street). Behind the fence is the beautiful, 1893 former schoolhouse. The ranch was sold in 1902. The community retained its post office until 1954. This courthouse was designed in Renaissance revival style by famed courthouse architect Alfred Giles. It now houses the Fredericksburg Public Library. It is located on the town square at 115 West Main Street. This courthouse was designed in modern style by Edward Stein. Many of the depression era courthuses were built with WPA funds and look similar to this courthouse. Both county courthouses are located on the town square. The 2010 Gillespie County census was 24,837. (830) 997-7502. 101 West Main Street. This was the fourth Gillespie County jail. Originally the jailer’s rooms and a “lock up” were located on the ground floor. The upstairs housed two steel cells and a maximum security cell. In 1939, the jail became the living quarters for custodian William Heimann and his wife. Later the building was used for storage. It was restored in the 1970s. The only public viewing opportunity is during the annual Candlelight Tour of Homes in December. 117 W. San Antonio Street. (830) 997-6523.